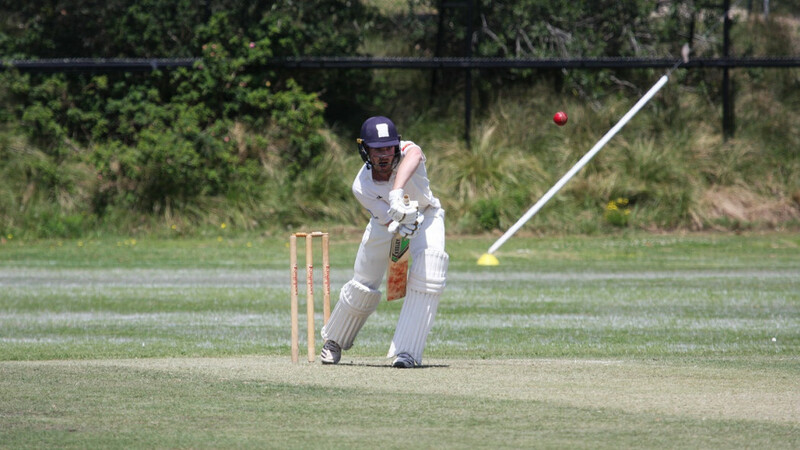 Batsman Connor Brown is spending the winter in Australia with the International Cricket Programme (ICP). Here in his first tour diary, Connor provides an insight into his first few weeks in Sydney with the ICP, which is also being attended by Tom Cullen and Kazi Szymanksi, as well as playing Grade Cricket and the city itself. Hi guys, hope you all wintering well. As you may or may not know, I’m currently down under playing grade cricket in Sydney for the next 5 months, so here is what I’ve been up to. I’ve been in Sydney for just over a month now and I’m currently developing my game on the international cricket programme (ICP), as well as playing grade cricket in the Sydney premier league for the University of New South Wales (UNSW). The ICP is an intense 8-week program which aims to develop aspiring and professional cricketers to help reach their full potential. The programme consists of 19 cricketers, including Tom Cullen and Kaz Szymanksi who are also on the academy with me. We train Monday to Friday in some of the best facilities Sydney has to offer including the Sydney Cricket Ground (SCG), the UNSW gym which is located on campus where I’m staying, as well as the David Phillips sports complex where we have most of outdoor practices. For the first few weeks, we did most of our training at the SCG due to poor weather. During this period, most of the lads got to know eachother and used this time to ease themselves in and adjust to the conditions over here. The facilities at the SCG are great, it’s a very different surface to the one back home, a lot quicker and a lot bouncier so it took a while for me to get used to. The outdoor nets at David Phillips have been slow but flat, so it’s been nice to play your shots without worrying too much about seam or swing. A typical week for us consists of sprint training on a Monday morning followed by a squad net session at the SCG. These sessions are predominantly batting focused with a net plan displayed at the start, so each player knows exactly what they are doing prior to the net. We have done a lot of work on the short ball which can be fun and painful at the same time, as well as playing spin from the crease and using your feet. We have also used the thin bat which I have found extremely useful and has helped me make cleaner contact with the ball. On Tuesdays, we have physio in the morning followed by strength and conditioning at the gym and club nets in the afternoon. Wednesdays consist of an outdoor practice which is usually a free net to work on whatever you want to. For me, I usually bat for an hour and half facing spin bowlers, seam bowlers as well as flingers working on various things. I’m also working hard on my spin bowling with Jason Krezja (Former Australian test cricketer), who’s been extremely helpful in sharing his experiences with me and giving me a few tips along the way. On Thursdays, I have physio in the morning which is located on campus so it’s really easy for me to get to. The physios over here have been great and have regular contact with the players to assess any injuries or niggles they may have. In the afternoon, I usually train with my club at the SCG or DP. These sessions have been really beneficial as the club have two great coaches in Murray creed and Corey Richards, who have both played first class cricket in South Africa and Australia respectively. Fridays, I have my 1:1 batting session at 10am followed by optional match practice where players have the option of coming in and working on anything specific ahead of Saturday’s game. I use this day to mentally switch on for the weekend and get in a rhythm of batting and bowling. I like to keep this session as simple as possible and not focus on anything too technical. So far, I’ve been pretty impressed with the standard of the cricket. The aussies are very passionate and competitive about the game and aren’t afraid to let you know this on the field. I’ve played two games of club cricket, the first against Bankstown and the second against western suburbs. I’m pretty happy with how I’ve started scoring 42 and 88 however I would’ve liked to have gone on and convert one of those into a big score. TC has started pretty strongly for Lindfield scoring 166 in his second game for the club. Kaz has also put in a few strong performances with the ball and has impressed the coaches over here. For anyone who hasn’t been to Sydney, I can safely say it’s one of the best cities I have ever been too. Despite the overpriced beers, the weather over the last few weeks has been very hot and reached highs of 36 degrees and for anyone who is wondering, yes the factor 50 is firmly on and yes I’m still very pale. When I’m not training, I like to go out and explore the city and there are numerous places I’ve been too including Coogee beach, Bondi, Taronga zoo, manly and the harbour bridge. I’ve also recently been to the Randwick racecourse with the rest of the lads on the ICP to watch the Melbourne Cup. It was a mixed day all round but thanks to Nick Selman’s tips, I was up $250. I’m hoping to have a few games of golf out here as well and I’m told there are some really nice courses not too far away from where I’m staying. Any excuse to take some cash of the boys is always a good idea.